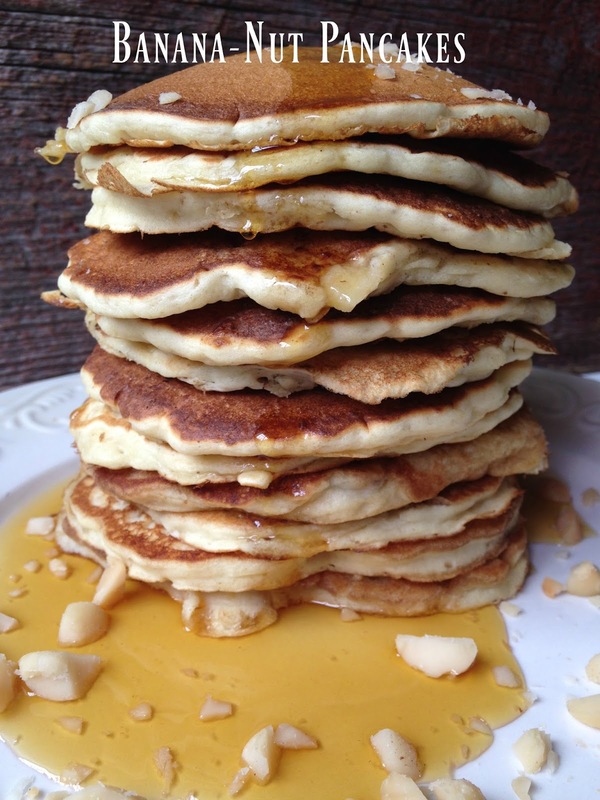 This recipe for Banana Nut Pancakes is made with a homemade premixed pancake mix. The mix is easy to throw together, is economical and will keep in a airtight container or resealable plastic baggie for up to six weeks. When your ready to make pancakes, like these yummy banana nut pancakes, all you will need to do is add some buttermilk, an egg and a tablespoon of oil. You can then add any “add in” ingredient you like. From chocolate chips to fresh fruit to chopped nuts, the add in choice is up to you. The “add in” ingredients in this recipe are; one chopped banana and roasted, chopped macadamia nuts. 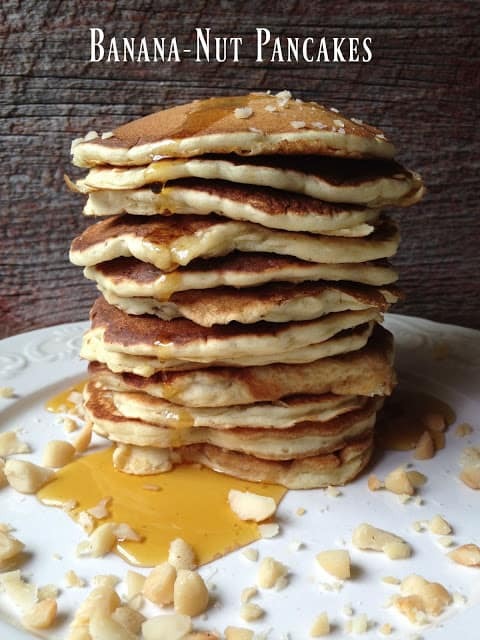 Serve with maple syrup, a pat of butter, few strips of bacon and fresh squeezed orange juice, you’ll have a breakfast everyone will love. 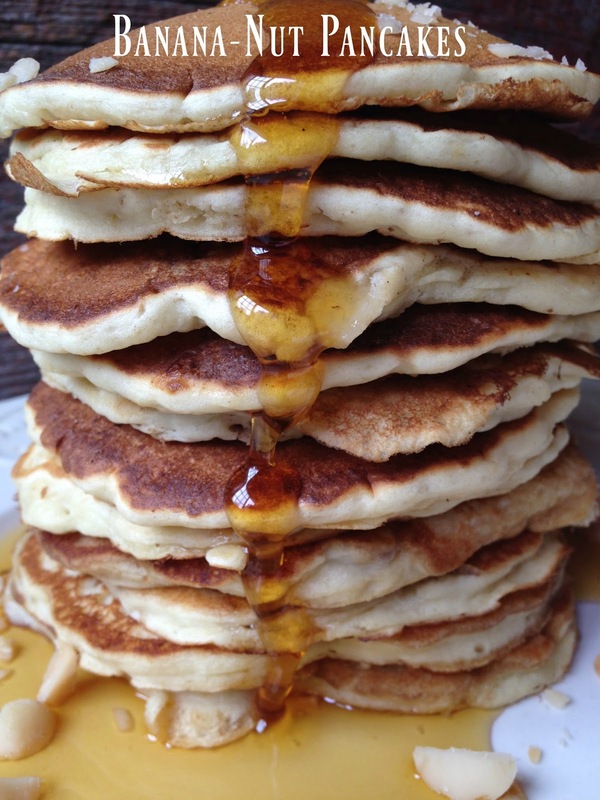 Combine pancake mix and sugar in a medium bowl. 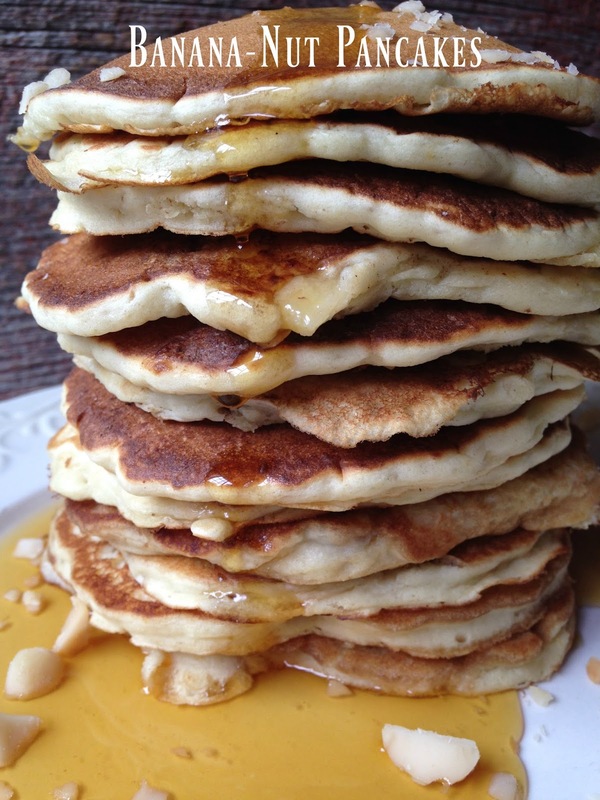 Whisk together 1 1/2 cups buttermilk, egg, and oil; add to dry ingredients, whisking just until lumps disappear. Let stand at room temperature for 10 minutes. Stir in chopped banana and nuts. 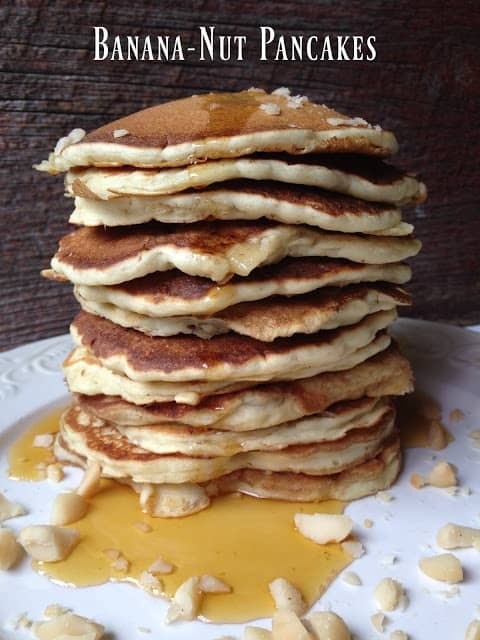 Pour about 1/4 cup batter for each pancake onto a hot, lightly greased griddle or large nonstick skillet. Cook for 2 minutes or until tops are covered with bubbles and edges begin to look dry; turn over and cook 2 minutes more or until done.